Diary of two mad authors…. How to increase sales without flooding the social networks! As we have shared in previous blogs, we have been very diligent in learning the ins and outs of marketing. Let us just say, there is a TON of information out there. Some of which is very contradictory. Some believe that social networking is the end all to making sales. Other, like author Michael Alvear, say just the opposite. 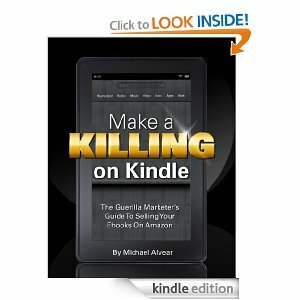 In Mr. Alvear’s book, Make a Killing on Kindle, he stresses the importance of picking the right categories for you book, teaches how to get to the top of Amazon’s search engine results, and how to increase sales without using social networks to name a few. 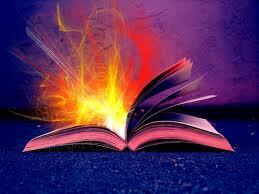 You’re looking for best sellers that complement the content of your book. Step 2: Write a positive review for the selected books. Even if you didn’t like all of that particular book, just highlight what you did like in your review. You only want to give a positive review to an author you are about to tag your book in. The text box where you write your review, allows you to ‘insert’ your link. Amazon does it all for you and easily. As you start your writeup, you will see the button in the upper right of the review text box “insert product link.” Click that, then put the title of your book in the search, go down the list for Kindle, and find your book in the list and press the select button. Make sure that you position the cursor where you want the link to be before you hit that button. Ex: As the author of ((blinking cursor here)); go to the link button and find your book, press the select button, and viola your books link and title are magically put in place. Then just finish out your review. Mr. Alvear says that he has seen a HUGE increase in sales because of doing this. For us, it’s a simple and inexpensive tool to implement. We will be tracking our sales over the next weeks, and will report back how things have gone. Remember: Always keep learning. The more you investigate and learn, the better your chance of being the next best-selling author. To purchase the above book, please click on our “Books we recommend” tab and follow the instructions. ← Please welcome our special guest Jennifer Don! Thanks for the info! I am going to get that book and I am going to try those things with the reviews. Awesome! We’ll see if that works for any of us. It seems like great advice to me. Incredible info…I wondered what the product link was for and I’ve never used it when I did a review…but I will now! I know. Let’s all try it out and see what happens. We should all give reviews to our friends too with a link to your own book. Yes mam! We too had wondered but did not know. Too awesome of a marketing tool to pass up. See! I told you! You ladies are smart! lol, you found very good information and you shared it! awesome blog, book and information! I just used this tip and I am waiting to see what happens! will keep you updated! lol will buy the book now! Yay! So glad we could share with you and others. We have been so blessed by so many with help, that it’s great we are able to give back just a little. awesome tips!! thank you you girls are the best! You’re the best! You are such a sweetie! Also you can ask people to tag your books with the right tag words for your book, have others write up reviews, and make lists of their favorite books and have your (whoever the author is that you are trying to help) book at the top of that list, and have your author page be filled out all the way with your bio, book trailers, links to your blogs etc. 🙂 There are other tricks to using Amazon to help you market your book, I love the tips you ladies gave out! Thanks for posting. Excellent advice Rebbekah! Thanks so much for your help and tips. We love it. Wendy, I have one problem with this technique: putting your author name and book title right at the start of your review. My aim in getting my name out there is not to be cynical, but to provide good value so that I am earning my presence on other people’s pages. I am also concerned about writing a tainted review that leaves out negatives in the name of successful marketing. From a business point of view, the technique described in this post is probably highly effective, but using it would cause me to lose touch with what I value most about myself as a writer: my dedication to my creative integrity. If I want to be a businessman I can go look for a large publisher and write work for hire for Tom Clancy’s Op-Center or some other series and make lots of money. But I want to make it on my own, on my terms, without sacrificing what is most important to me. Thank you very much for giving me some insight on how marketing techniques can strangle art in the real world. It’s helpful. Thanks for your insight. Most of us are newbies at this, and are looking for effective ways to market our books. We do appreciate your thoughts and advice. Yes, getting your name out there is crucial, and getting your book noticed is also crucial. The biggest obstacle we all face is that the whole vast world just has no chance to look at our work because they don’t find it. That can be blamed on the world’s vastness. And I really am grateful that you described this technique so I could evaluate whether it’s right for me–and that you were gracious enough to permit me to comment on it frankly. Of course. You were so respectful, and that we thank you for. Like I said, we are learning the ropes ourselves. We did three of them on Amazon.com, on three books we do indeed like that are similar to ours. We’ll see what happens. Thanks again! We are the authors of What She Knew; an historical fiction about what if Marilyn Monroe had lived and what she knew changed the course of history? K and T Productions Find out more about us, our books and movie updates on our website. MasterKoda The author’s best friend! Next Time Lucky Blog Author Siggy Buckley shares her wisdom on dating and relationships. Tons of great books all in one place!! What She Knew LitFlix Marilyn lives, JFK assassination plot foiled?